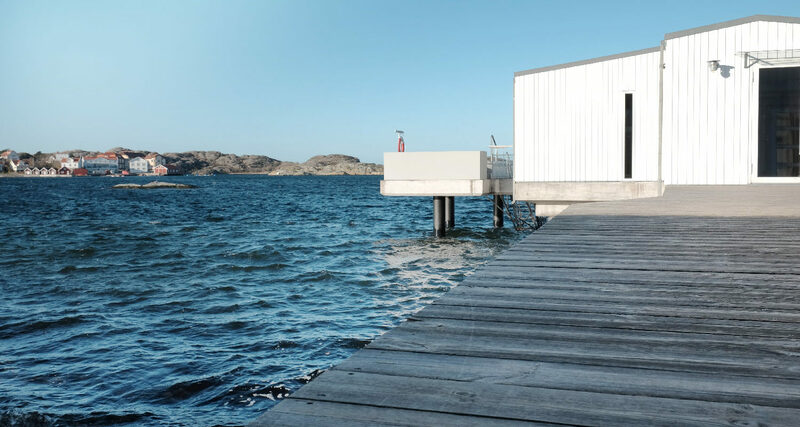 Fiskebäckskil is one of West Sweden’s classic seaside resorts. 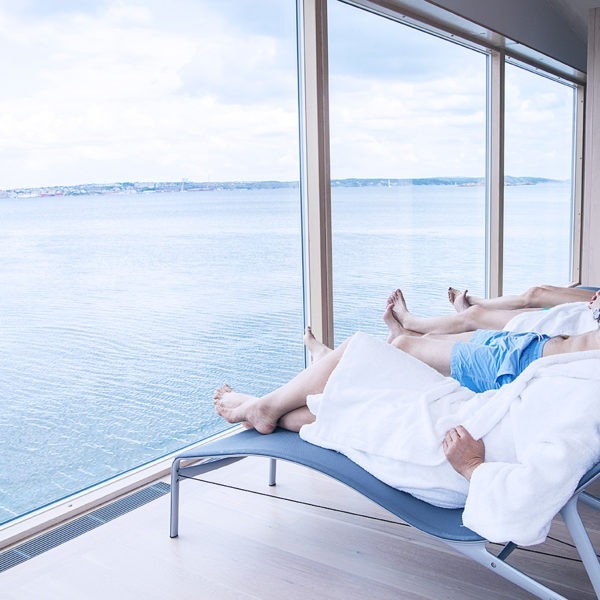 Here, the sea bath tradition continues and you can still leave the everyday demands behind and find the peace and quiet in one of our two relaxation areas. Book an appointment in any of our relaxation areas. Sinnenas Havsbad with two sauna rooms and the outdoorpool 38G. 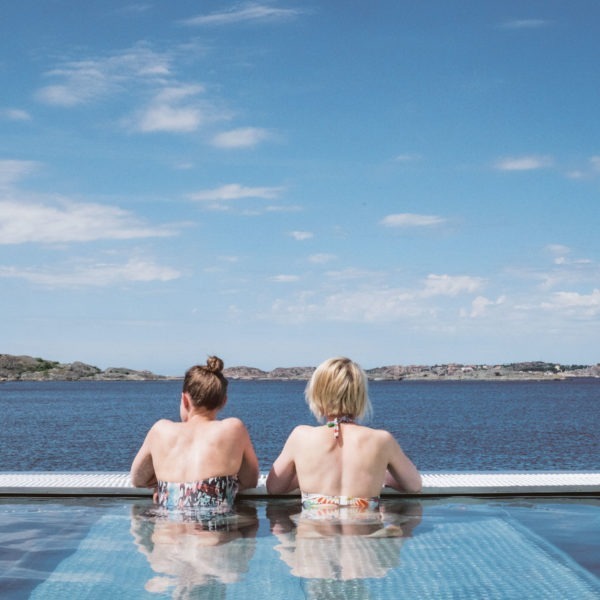 Or Sinnenas Relax, where you can enjoy an indoorpool and sauna where only a glass wall separates from the sea. Here you can easily walk out on the pier to get a sea bathing or take a shower in our outdoor-shower. 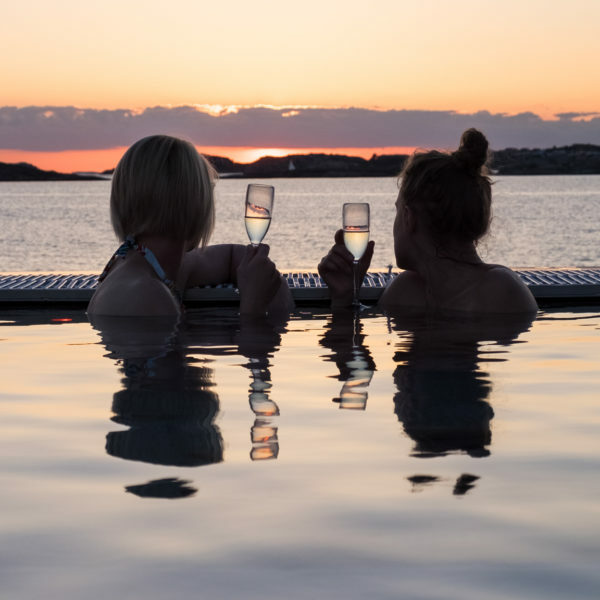 Our popular luxury package is designed for those who live in the neighborhood and want to enjoy good food and lovely relaxation area with sauna, bathing and pool bath under the open sky. Start your day with a delicious moment at the breakfast buffet. Then relax in Sinnenas Havsbad and maybe a dip in the sea? A good start to the day simply! Enjoy the tranquility, the sea and a lovely lunch. You choose the layout of the day, whether you want to start or finish with lunch. In Sinnenas Havsbad, the sauna awaits, 38 * G and the sea. Admission is not included in all our packages but can be booked to availability. Read more under each hotel package. For everyone’s comfort, we have a maximum number of people in Sinnenas Havsbad at 16 pers and in Sinnenas Relax 14 pers. In Sinnenas Havsbad and Sinnenas Relax we have an age limit of 15 years. However, children are welcome accompanied with an adult in Sinnenas Relax daily at 10.30 am-12.30 pm. Sometimes you need to get away from all demands and recharge your batteries. Let us take care of your body and soul for a little while. In partnership with professional massage and spa treatment therapist Karin Jochnick, we offer both basic treatments and luxurious options.